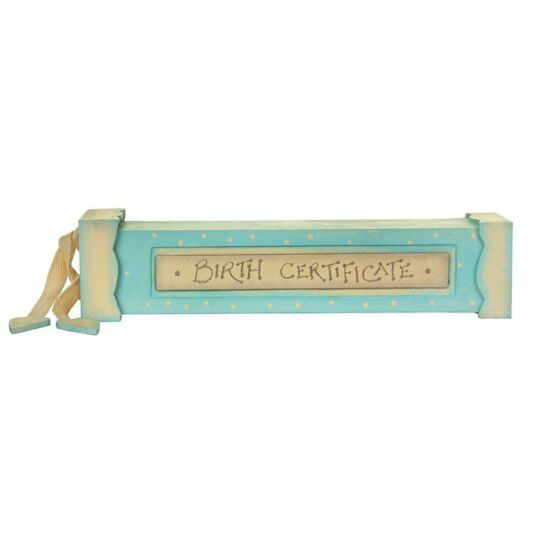 The birth of a child is a proud and joyous occasion, so what better way to treasure parenthood than in this beautiful East of India birth certificate holder? 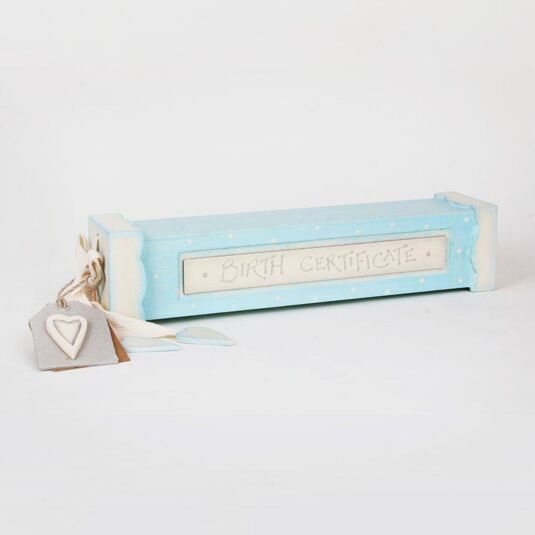 This box is hand crafted from wood and blue in colour, with “Birth Certificate” written down the side, and subtle cream polka dots down its length, to add the effect of extra depth. There are raised decorative wooden borders at either end of the box, with a heart shape carved into the lid, and small wooden hearts hanging from one end. An additional label with ‘to’ and ‘from’ lettering adds a personal touch to this delightful gift. 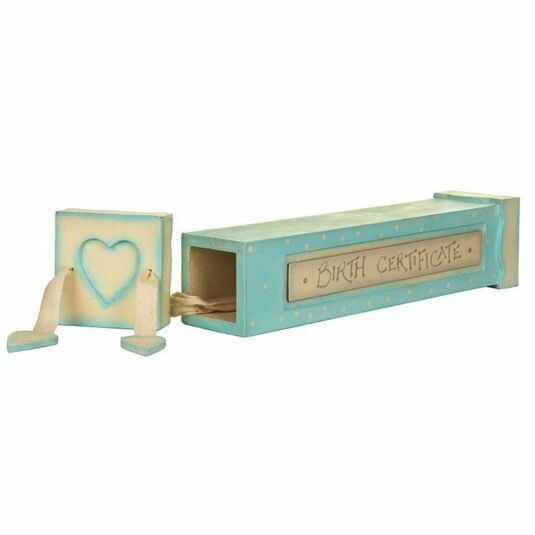 This wooden presentation box is a beautiful gift idea for somebody special on the birth of their baby boy.